With Jason Bourne (Matt Damon) on the run and the media close to blowing the lid on the CIA’s heavily guarded special operation programs, Eric Byer (Edward Norton) is forced to take dramatic action, not only closing down each and every program, but also killing every single agent in the field. Unfortunately for them, Aaron Cross (Jeremy Renner) narrowly escapes the attacks, albeit without his performance enhancing medication, and tracks down geneticist Marta Shearing (Rachel Weisz) in a bid to stay alive and untether himself from the CIA once and for all. Bourne series screenwriter Tony Gilroy assumes the reigns from Paul Greengrass who, along with star Matt Damon, felt the story had run its course after three instalments. Unfortunately for Gilroy, he’s unable to create a substantial narrative that sets itself apart from what’s already happened and opens the world up to further instalments, choosing instead to base proceedings around the aftermath of The Bourne Ultimatum and how the CIA deal with the damage and destruction the now rouge Bourne has left in his path. This therefore infringes upon the new story that’s being told, that of the drugs used to turn average men into the desired super-soldiers and one of those men, Aaron, wanting to adapt his genes permanently to avoid future association with the foolish decision that ruined his life. Gilroy’s screenplay is far too flimsy for its own good and, despite some speedy action scenes and a punchy score, is way too plodding and stretched-out to truly engage. 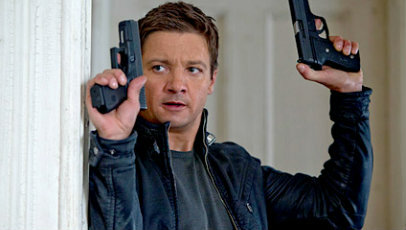 The action disappointingly plays second fiddle to long, drawn-out, dialogue-heavy scenes, and whatever humour is infused through the back-and-forth between Aaron and Marta, or even how scarily realistic the lengths to which the CIA go to stay intact are, The Bourne Legacy never feels like a necessary continuation to the story. It often feels nothing more than a money-making scheme which, considering how popular the original Bourne trilogy has been, makes it seem all the more redundant and a disservice to what Greengrass achieved. This, in turn, limits the cast’s abilities to forge believable characters from what they have to work with. It’s not that Renner doesn’t play Aaron well or make him mysterious enough, it’s more that because so much time is spent on exposition, he’s simply not bestowed the screen time needed to add the depth to make Aaron believable, worth caring about, or capable of leaving a lasting impression. Weisz fares better, awarding Marta with a level of sincerity and authentic desire to do better that’s sorely lacking in other departments. For a film that seemed pointless from its point of conception, The Bourne Legacy fails to subvert expectations and deliver something that’s both in tune with what’s come before, yet different enough to validate its presence. That said, there’s some intrigue in the shift Gilroy has attempted and, with some more fleshing out and a little less reliance on harking back to its previous incarnation every five minutes, what comes next has the potential to deliver. Plus, who doesn’t want to see more of Weisz’ timid, yet scrappy Marta (“Alex, run!”). i actually thought the dialogue was limited, but the action scenes were extensive. i just wish the renner’s character had better motives. I feel that the Bourne legacy has already run its course, so I’m surprised to hear that The Bourne Legacy is now in theaters. I personally think that Matt Damon is the only one who could pull of such a role, so I’m leery of this new film and Jeremy Renner’s part. Despite what some of my co-workers at Dish have told me about this film, I’m going to take your review to heart. I’m going to save myself the cost of seeing this in theaters, and I’m adding it to my Blockbuster @Home queue. This way, I won’t feel like I wasted my money since I pay so little each month to rent as many movies as I want. Thank You! Interesting – I actually thought that everything from the script to [most of] the action, it was well-done. The issues came in its lack of any hint at a Bourne crossover story, and in its pacing (as you mentioned). Anyway, I think “stretched-out” is absolutely apropos. Cool review!